New York, NY (May 20, 2009)—Alfred A. Knopf Books for Young Readers, an imprint of Random House Children’s Books, will publish a unique novelty book based on Christopher Paolini ’s Inheritance cycle this fall, it was announced today by Nancy Hinkel, Publishing Director for the imprint. ERAGON’S GUIDE TO ALAGAËSIA is being created in conjunction with Templar Publishing, who is recognized as the market leader in developing groundbreaking and bestselling novelty gift books. This project marks the first time Paolini’s Inheritance cycle will be introduced in a format beyond novels. 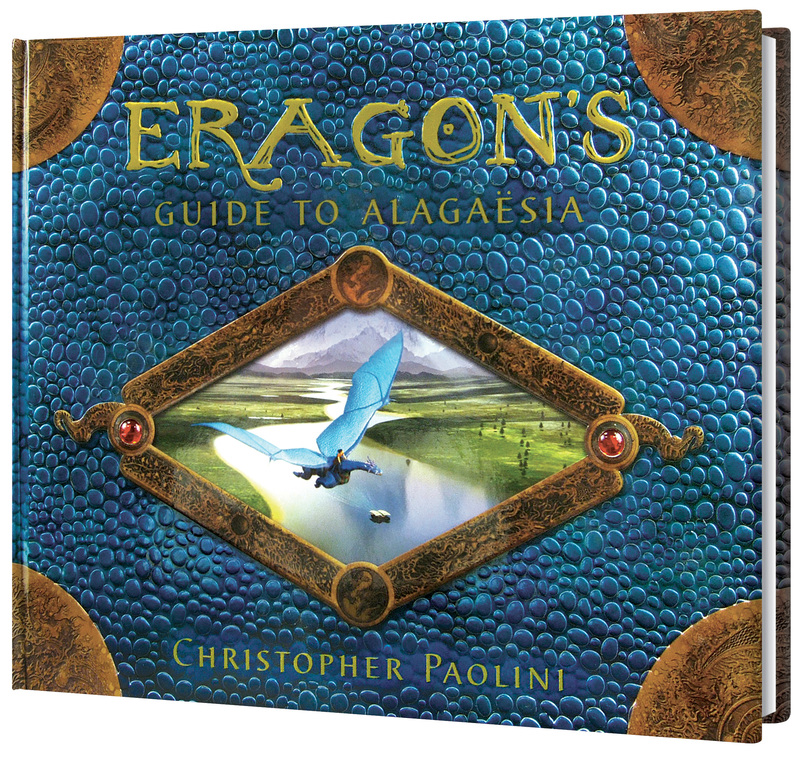 As with Paolini’s Inheritance cycle novels, Random House Children's Books holds world rights to ERAGON’S GUIDE TO ALAGAËSIA. The book will be published in North America on November 3, 2009, and simultaneously by Random House Children's Books in the United Kingdom , Australia and New Zealand . ERAGON’S GUIDE TO ALAGAËSIA, which will carry a suggested retail price of $24.99 (US), is framed as a gift from Eragon to the reader—who is, in fact, a new Rider. In fifteen lavishly illustrated spreads, the reader is invited to explore the landscape and cities of Alagaësia and its many races, including dragons, humans, Urgals, dwarves and elves. Each spread is filled with special effects and stunning examples of paper engineering and other elements for which Templar is so well known. Christopher Paolini ’s Inheritance cycle, which includes the acclaimed novels Eragon, Eldest and Brisingr, is an international sensation—with over 50 foreign-language licenses—and has sold more than 22 million copies worldwide. Paolini is currently at work on the fourth book which will conclude the Inheritance cycle. A publication date has yet to be announced. Alfred A. Knopf Books for Young Readers is an imprint of Random House Children’s Books, the world’s largest English-language children’s trade book publisher. Random House Children’s Books is a division of Random House, Inc., whose parent company is Bertelsmann AG, a leading international media company.